That's Nifty: Happy Afternoon to All !! 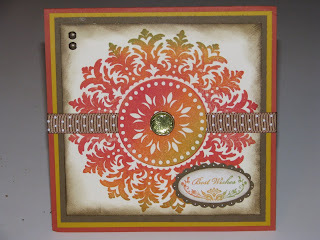 Here is a Stampin Up stamp I just had to have and after using it a couple times now I know i made the right decision on getting it, it has so much potential to get creative with. Hope you enjoy this card sample.